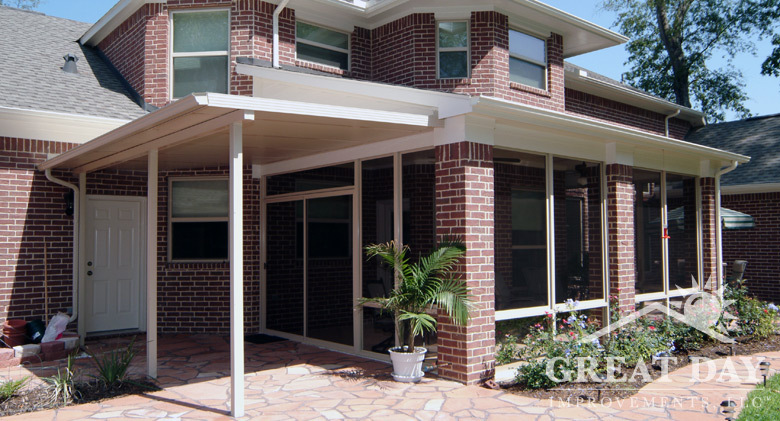 Looking to protect your deck or patio from the sun and elements but don’t want to enclose it completely? 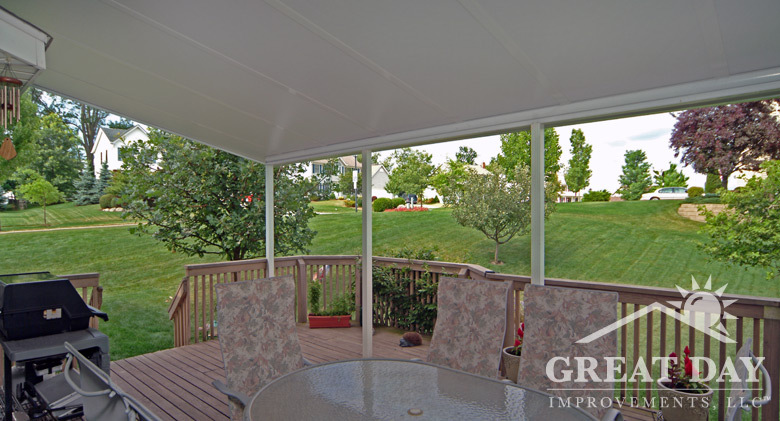 Great Day Improvements offers stationary patio covers that are constructed from the same material as our Patio Enclosures™ sunroom roofs- aluminum and insulated foam core. 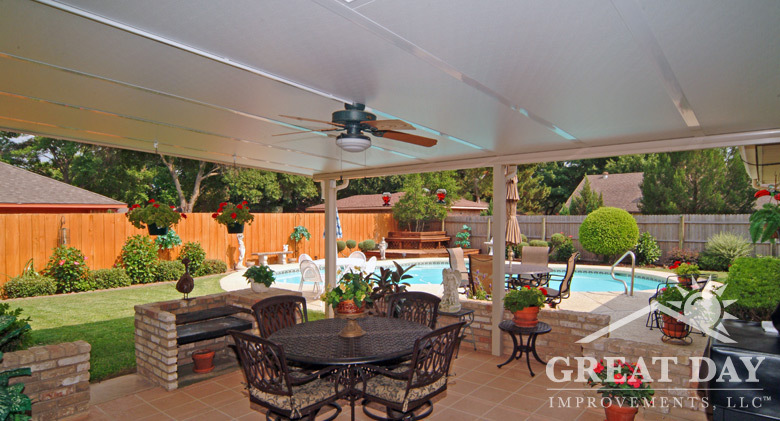 Custom patio cover. 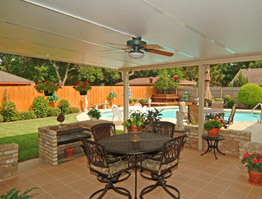 Custom patio cover. Custom patio cover. 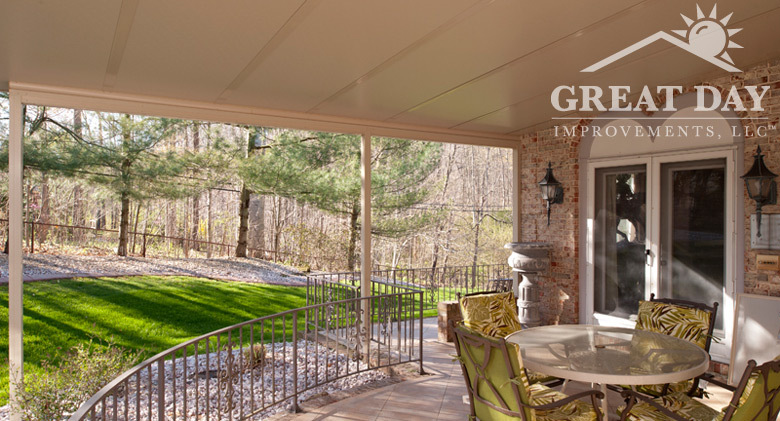 Custom patio cover. 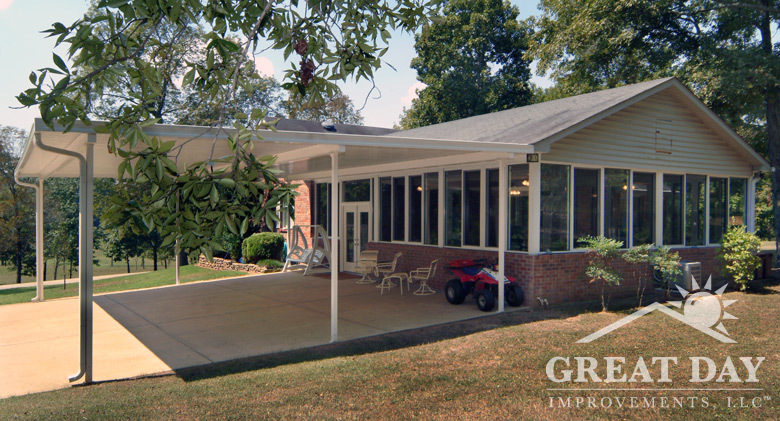 Custom driveway cover and carport. 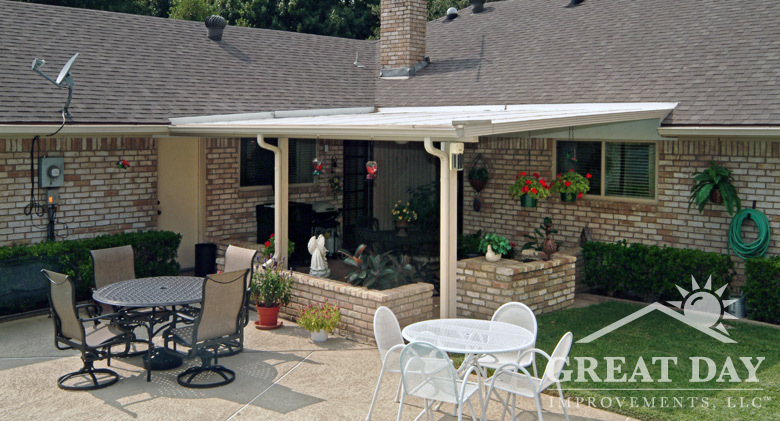 Custom patio cover. 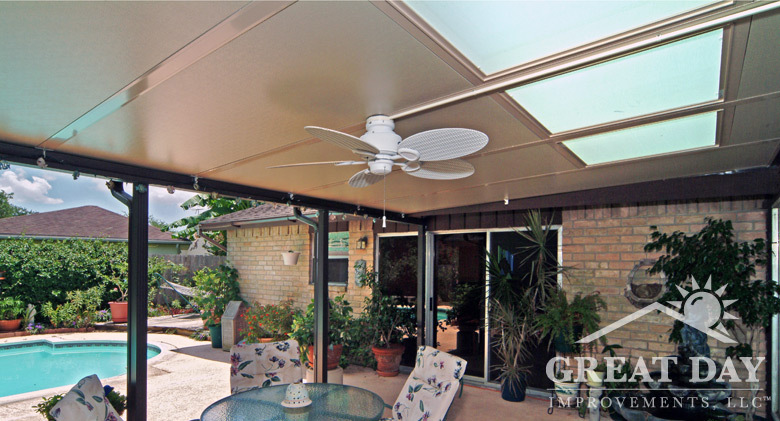 Custom patio cover with skylights. 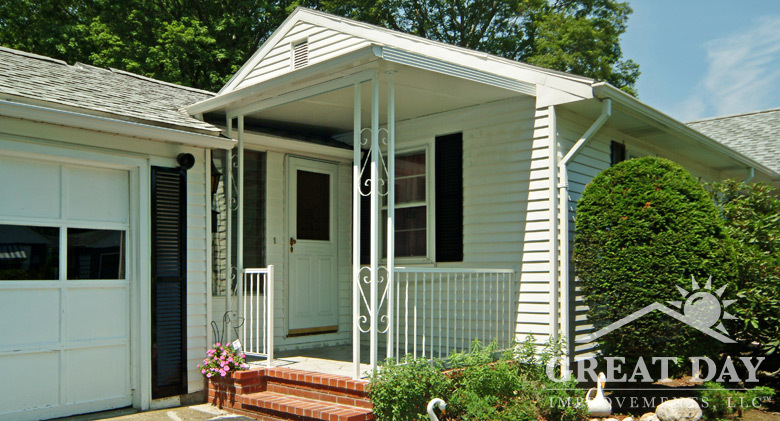 Custom porch cover. 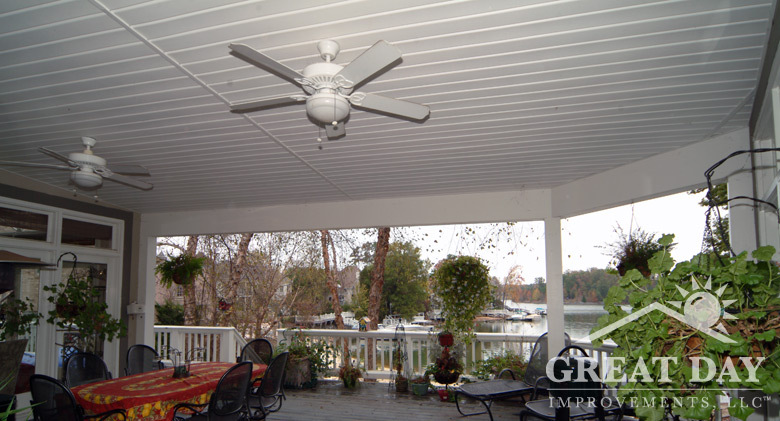 Custom wood roof porch cover.